The global EV connectors market is estimated to grow from USD 30 million in 2018 at a CAGR of 18.44% to reach USD 98 million by 2025. Favorable government policies and support in terms of subsidies and grants, tax rebates for EVs, and EV charging points would drive the growth of EV charging stations. Thus, the EV connectors market would grow subsequently. However, the high cost of installation of EV charging points is considered to be a major restraint for the growth of the EV connectors market. GB/T is the fastest growing market in terms of charging infrastructure as China is focused on increasing their EV sales rapidly by 2025, which would boost the market of GB/T charging points. Also, the combined charging system (CCS) is one of the fastest growing markets in terms of charging points. It is attributed to the fact that the CCS standard is supported by 7 US and European automakers. Additionally, the safety features of CCS include diagnosable lock, proximity and control pilot, and PLC-based communication which drives the growth of the CCS infrastructure of EV charging stations. A DC charging station costs significantly more than an AC charging station but provides a charge in much less time. Most DC chargers today offer power at 50 kW, although there are some that are lower, at around 20–25 kW. More significantly, there is currently a push toward DC chargers at 100–150 kW power levels, and even up to 400 kW, to serve the next generation of PEVs with much bigger 80 kWh and higher batteries. The shift of demand from AC charging to DC charging would drive the market for DC charging points globally. Asia Pacific is the fastest growing market for EV charging points, followed by North America. The region comprises some of the fastest developing economies of the world such as China and India. The Asia Pacific region is the largest market for EVs due to government support in the form of grants, subsidies, tax rebates, and continuously improving charging infrastructure in countries such as Japan and China. Thus, EV charging infrastructure would grow and drive the market for EV connectors. Continuously improving charging infrastructure and increasing vehicle range are the major factors which have contributed to Asia Pacific being the fastest growing market. Additionally, the alarming pollution levels in economies such as Japan and China have fueled the demand for zero emission vehicles, thereby creating a huge demand for EVs and EV charging infrastructure in such countries. In-depth interviews were conducted with CEOs, marketing directors, other innovation and technology directors, and executives from various key organizations operating in the EV connectors market. The EV connectors market comprises major manufacturers such as Yazaki (Japan), TE Connectivity (Switzerland), Sumitomo (Japan), Schneider Electric (France), HUBER+SUHNER (Switzerland), Tesla (US), Bosch (Germany), ITT (US), Amphenol (US), Siemens AG (Germany), ABB (Switzerland), and Fujikura (Japan). The study includes an in-depth competitive analysis of these key players in the EV connectors market with their company profiles, recent developments, and key market strategies. The study covers the EV connectors market across segments. It aims at estimating the market size and future growth potential of this market across different segments such as By Type, Level, Voltage Type, Charging Speed, End User, Station, Cable type, Component, and Region. The study also includes an in-depth competitive analysis of the key players in the market, along with their company profiles, key observations related to product and business offerings, recent developments, and key market strategies. The report will help the market leaders/new entrants in this market with information on the closest approximations of the revenue numbers for the overall EV connectors market and the subsegments. This report will help stakeholders understand the competitive landscape and gain more insights to better position their businesses and plan suitable go-to-market strategies. 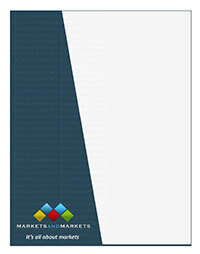 The report also helps stakeholders understand the pulse of the market and provides them with information on key market drivers, restraints, challenges, and opportunities.